On Saturday, November 15, the Community Building & Organizing team hosted another volunteer event with Squash Haven at the Stevens Street Community Garden. 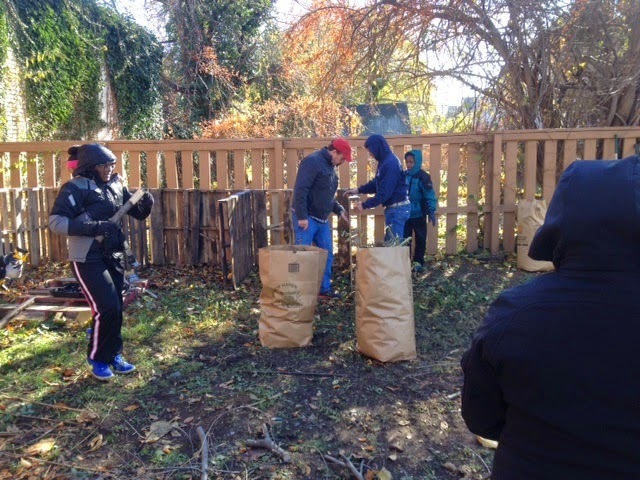 Seven students, along with their supervisor, Kyle Compton, spent two hours raking leaves, breaking down a debris pile, and helping to construct a three-bin composting system. 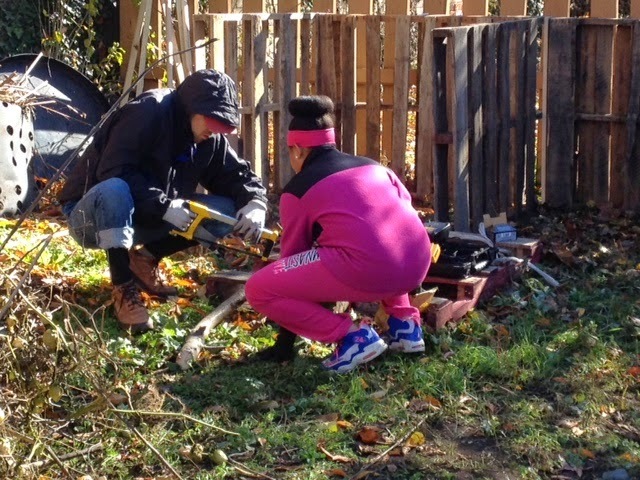 It was a very chilly morning but the students worked hard and were excited to have the opportunity to learn the proper use of hand tools such as rip saws, hack saws, and power drills! Their efforts resulted in a tremendous improvement to the appearance of the garden, and we look forward to the next time that they can join us in the garden. Before you go any further, treat this transaction as a business investment that may come with risks. Your task is to minimize your risks as much as you can. Start by understanding the local market and related activity. You can get information on current and future economic development activity from the town hall where the property is located. Study recent sales of homes in close proximity to the home you are trying to buy. This practice will help you to have a better understanding as to whether the home you want is priced in line with other homes in the same market. Your realtor will be able to help you with this. Make sure you attend your home inspection and use it as an opportunity to “look under the hood.” The home inspection will give you an excellent opportunity to see property damage and related issues that should be addressed both internally and externally. You may not have caught these issues when you were initially walking through the home to see if it had enough bedrooms and bathrooms for your needs and yard space big enough to have summer cookouts. During your home inspection, look closely at all aspects of the home including the mechanical systems. Ask questions about the wiring, plumbing, roof, and windows. You will want to know whether there are electrical, plumbing, or structural issues. You may not be able to see every finite detail, but do the best you can to take note of the items you can see. Think carefully about how you want to proceed should you come across costly issues that must be repaired. You can use this as leverage to get the seller to give you a better deal, but the seller does not have to comply. Think about the future costs to repair and renovate items in the home and whether the costs are feasible. Do not allow yourself to end up with a home that will cost you more to live in than you bargained for… Take the time to understand the local real estate markets and the home maintenance costs expected prior to closing on the home. This can save you money and headaches. The HomeOwnership Center at NHS of New Haven knows the local real estate markets well and has access to information pertaining to home maintenance expenses. Check us out online at www.nhsofnewhaven.org and give us a call at (203) 777-6925 so that we can help you minimize your home buying risks. 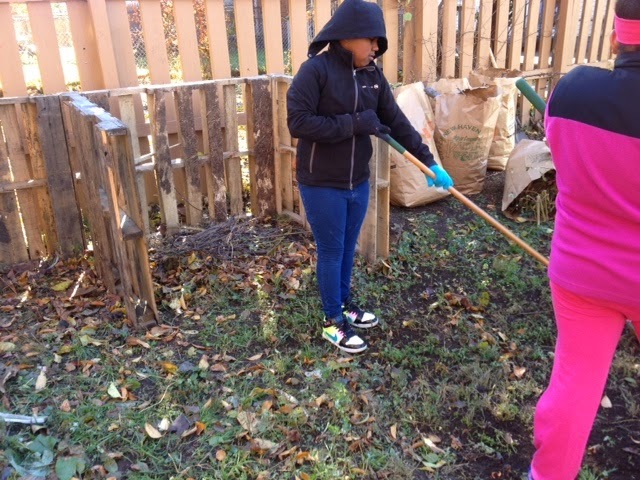 On October 9, 2014, NHS and the Ivy Street Community Gardeners hosted a volunteer event with Solar Youth. For this event, our Community Building & Organizing team, the gardeners, and the volunteers cleaned up the garden and assembled new garden beds for future growing seasons. 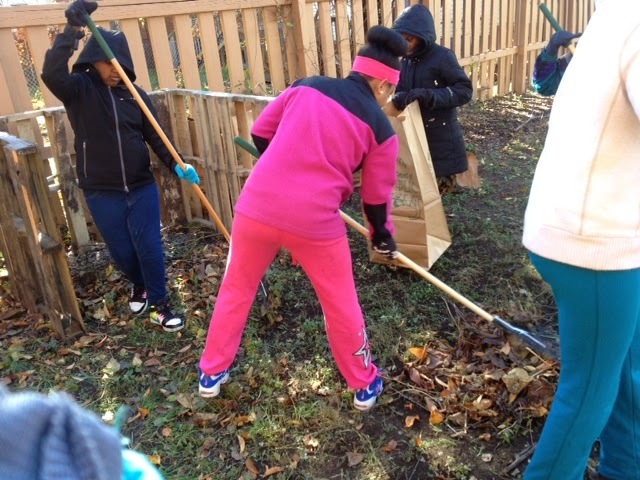 The kids also learned a bit about gardening and composting, and their favorite activity of all was raking the colorful autumn leaves (and raking them again after jumping in them!). You have just closed on your property and now have the keys… what next? The homeownership process does not end with the closing! The buyer’s focus prior to closing on a house is on the management of transactions and documents to ensure that ownership legally passes from seller to buyer. After the closing and the ceremonial passage of the keys from the seller to the new homeowner, the focus shifts to property management and financial sustainability. A strategy for addressing home maintenance issues and personal emergencies while protecting all assets becomes extremely vital to your ongoing financial well-being. Consistently saving the appropriate amount of funds will put you on the right track. However, merely saving a random amount of funds each pay period or per month may not ensure that you are financially capable of covering home maintenance issues or an emergency. In addition, not paying attention to appropriate protective measures necessary to safeguard your real estate assets can create major financial hardships. The concept of home maintenance is extremely important to the homeowner at every stage of the home buying process. When deciding to buy a home, the buyer is trying to assess the current home maintenance needs. In addition, the buyer is also trying to use the home maintenance issues that may already exist as a leveraging tool to see if the seller will cure the issues prior to closing. As a homeowner, you are responsible for the upkeep of the property. You will want to understand the preventive measures necessary to ensuring the optimal functionality of the property. Become familiar with these preventive measures and be aware of potential issues before they happen. Educate yourself on the cost, life expectancy, and age of the property’s roof, windows, and mechanical structures. You will want to use this information to develop a savings plan for addressing repairs and replacements. Personal emergencies should always be thought of as a separate category despite the urge to lump them in with home maintenance. Home maintenance funds should be used strictly to address property issues. An emergency fund is used to address issues such as a flat tire on your way to work or an unexpected medical expense not covered by your health insurance. Increasing your emergency funds will help to minimize the likelihood that you will be wiped out financially by unexpected life events. Protecting your real estate asset does not just include obtaining the proper insurance and taking the proper home maintenance precautions. Make sure that you always keep a copy of all loan documents signed at closing and your homeowners’ insurance policy. You may want to keep these items in a fireproof safe to ensure that they will be properly maintained even in the event of a fire. Home maintenance, emergency funds, and asset protection are crucial components to the sustainability of your property and your finances. Make sure that you treat them as priorities. NHS can help you create your homeownership strategy. Give us a call today at (203) 562-0598 ext. 26, or check us out online at www.nhsofnewhaven.org. On September 27th, NHS' new AmeriCorps VISTA Members hosted an "Evening in the Garden" at the Stevens Street Community Garden. Our VISTA Members planned the event to gain familiarity with community residents and to raise awareness of the garden among Stevens Street residents. With funding from the Community Foundation for Greater New Haven, the event was anchored by a barbeque cook-out and an arts and crafts section for the kids. To get everyone excited for fall, the children were able to decorate tiny pumpkins, which were a hit! The event encouraged residents to stop by, and several expressed interest in starting their own plots in the garden. The evening was a great way for our VISTAs to learn more about the neighborhood and to build relationships with neighbors. We're excited to see what new projects will come! You don’t need to limit yourself in your house hunt by only looking at single-family homes. Don’t feel intimidated at the prospect of being a homeowner and landlord. With landlord training classes, you’ll learn the ins and outs of owning a multi-family home. Purchasing a multi-family home where you occupy one of the units as your primary residence while renting out the other unit(s) is an excellent way to offset your home purchase costs while building your assets. There are a few concepts to understand before embarking upon this journey. Generating profit from the rental income is paramount, and having a home maintenance strategy is necessary. Most importantly, understanding your role as a landlord will help minimize unwarranted liability. A major incentive to becoming a landlord is the likelihood that you will generate additional revenue for your household. Start by getting a good mortgage product consisting of monthly mortgage payments that are at or below your financial means. You should put yourself in a financial position where you can sustain mortgage payments whether you receive rental income or not. This will serve as a financial cushion, allowing room to save funds at a more aggressive pace and prepare financially for emergencies. Covering monthly mortgage payments from your own funds and not with the assistance of rental income will put you in a position to build wealth. A home maintenance strategy is mandatory and should be created before you purchase the property. Remember, you’re responsible for more than just your unit. Get familiar with the average cost to repair and replace the house’s roof, windows, and internal mechanical structures. You will want to be aware of when the items in each unit need to be serviced, repaired, or replaced. Understanding your responsibilities as a landlord will help you manage tenant-landlord relations more effectively and enhance your reputation as a stellar landlord. A landlord’s reputation goes a long way – and a good one can help increase the likelihood of getting a larger pool of qualified tenants. Buying a home for the first time? If so, you’re going to need the right team… Pick your team wisely and win the game!!! You have made the decision to become a homeowner and want to make sure that the process moves at a controllable pace. Picking the right players to be a part of your home buying team will help you maintain control of the home buying process and ensure that you are informed at each step. There are (5) key players that you should have on your home buying team. The first key player is your lender. The lender provides the funds to purchase the home and has a significant role in the closing process. Pick a lender that offers the best mortgage product applicable to your credit rating, financial reserves and desired town of residence. The second key player is your realtor. The realtor helps you with finding homes based on the home you want and need. Find a realtor who is very familiar with the housing market in the areas in which you want to buy, understands first time home buyer programs, and is accessible. The third key player is your home inspector. The home inspector will give you a good idea as to the livability and functionality of the home. Pay attention to your home inspection report and be sure to ask questions. The fourth player is your attorney. Choose an attorney that specializes in residential closings and has experience with the closing process for first-time home buyers. Your attorney will play a major role in coordinating the closing process. The attorney helps to make sure that you, the seller, and the lender are on the same page and have all necessary items needed to close. The fifth key player is your homeowners’ insurance agent. Make sure you understand the type and amount of insurance you need to cover your home. Homeowners’ insurance can help to protect you from liability against property damage and injury that takes place on your property. The right home buyer team can help to make your home buying process smooth and steady. Think of yourself as the team manager… Every team manager needs an experienced coach to help motivate the players. Let us be your coach and help to make sure your home buying process moves according to plan. Give us a call so that we can create your home buying team together. In Loving your House Love Note #2 last October, we again talked about carefully planning work with regard to season, and, now, it is time to have that talk again. Although we may have deceptively warm days, the chilly nights are again warming us that the tiger (winter) is poised to strike, and we are running out of time to do things that require dryness and temperatures above 50 degrees Fahrenheit. What might those things be? If you need to re-seed your any lawn areas, this is the perfect time to plant grass. The soil is warm – we are past the season of the most intense burning sunlight – so it is easier to keep the seeded area wet. Get the appropriate seed for the light conditions you have, use a little starter fertilizer, and mulch with chopped straw to help hold the moisture and distract the birds from eating the seed. It is important to keep the area wet or damp until the seed sprouts up a few inches. Don’t mow until this area is 4” – 5” high and then commence regular mowing regimes. This is also the time to plant evergreen woody plants, such as spruce, pine, azaleas, mountain laurel, etc. Because they hold their needles or leaves all winter, they need to be able to take up water from the root system, so they need to be established to some degree to enable that. Keeping the memory of recent snow storms in mind, it is also important to trim off limb and branches from trees and shrubs that will likely break under snow and ice loads. Try to remember, or plan, where you are going to pile your snow, so you are not mounding it on weak, horizontal branches of your shrubbery. Check your inventory of pruning tools and be sure that they are sharp and in good repair. Minimally, you should have hand pruners, lopping shears, a hand-held pruning saw, and a pole saw for high places you cannot reach. Serious tree work should only be undertaken by professional arborists who are licensed and insured. On the house itself, check the roof for anything that looks amiss, or have an experienced friend or professional help you. Gutters should be securely fastened with proper supporting hardware and be clean and free flowing. There are newer, tougher gutter products that are stronger, longer-lasting, and have greater hydraulic capacity that do a better job than the average products in the home centers. Visit the NHS Home Improvement and Energy Conservation Lab to see these products. Recent scientific investigations have indicated that rising global temperatures may be the cause of the “Polar Vortex” we experienced last winter. Therefore, like the squirrels who prepare to survive, we should prepare our houses for extremes of weather. Give the heating system a trial run now, and be familiar with the routine maintenance and service requirements of you system. Get problems taken care of now, before heating contractors are swamped with “no heat” calls. For further advice, check prior “Loving Your House” Love Notes # 1 and #2, and register for homeowner technical training classes at Neighborhood Housing Services Home Improvement and Energy Conservation Laboratory. I’m ready to get a mortgage… now what? Financing the purchase of your home can be a daunting task if you let it. You will need funds to acquire the property, cover a down-payment and pay closing costs. Start out with asking yourself, “What do I need from the lender?” Do you need a mortgage to acquire the property but already have money saved for the required down-payment and estimated closing costs? Do you need funds to cover all three areas? Answering these questions will help you determine the product that may be best suited for you. The “mortgage” is the legal document that allows you to acquire and own your home while using the home as collateral. Simply stated… you own the home as long as you make monthly mortgage payments as agreed in the note. Defaulting on mortgage payments gives the lender the right to take possession of your property through a process called foreclosure. The mortgage payment that you will make each month covers several areas. The payment covers the principal, interest, real estate property taxes, and mortgage insurance. Covering the principal is crucial because that is how you pay off the mortgage loan. A wise borrower will try to make higher payments towards the principal as much as possible so that the loan can be paid off at a faster pace. Lenders love interest payments!!! The lender’s incentive to loan you money is based on the amount of interest that they can charge as a return on their investment of offering you a loan. The interest is the lender’s profit. Most lenders and mortgage programs will request that you make one payment per month that consists of principal, interest, taxes, and insurance. Upon receipt of your mortgage payment each month, the lender will apply a portion of the payment to your loan principal, a portion toward mortgage interest, and then place the rest in an escrow account. As your insurance and real estate taxes become due, the lender will automatically pay them from the escrow account. Mortgage insurance protects the lender in case you default in your mortgage. There are several mortgage products that do not require mortgage insurance premiums. The benefit of this is that the borrower will have a lower mortgage payment. The lender is able to offer you a principal and interest payment that remains the same until the loan is paid off based on amortization. The term amortization refers to the gradual repayment of a mortgage by installments that will pay off the loan at the end of a fixed period of time. Whenever you hear about a 30-year mortgage, remember the term AMORTIZATION! The goal of a prospective borrower should always be to end up with the most affordable mortgage. Give us a call and let us demystify the mortgage process for you. 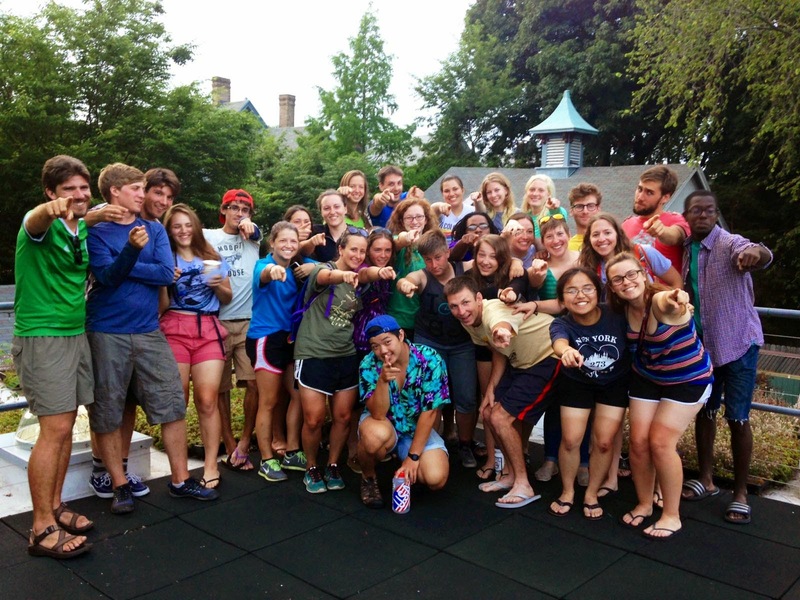 As fresh faces arrive in New Haven to begin their undergraduate academic careers at Yale University, Dwight Hall helps to facilitate the meeting of students through a volunteer day, known as Freshman Day of Service. Besides meeting other students, the additional benefit of participating in this service day is the opportunity to learn about a cool place in New Haven, beyond the downtown area. 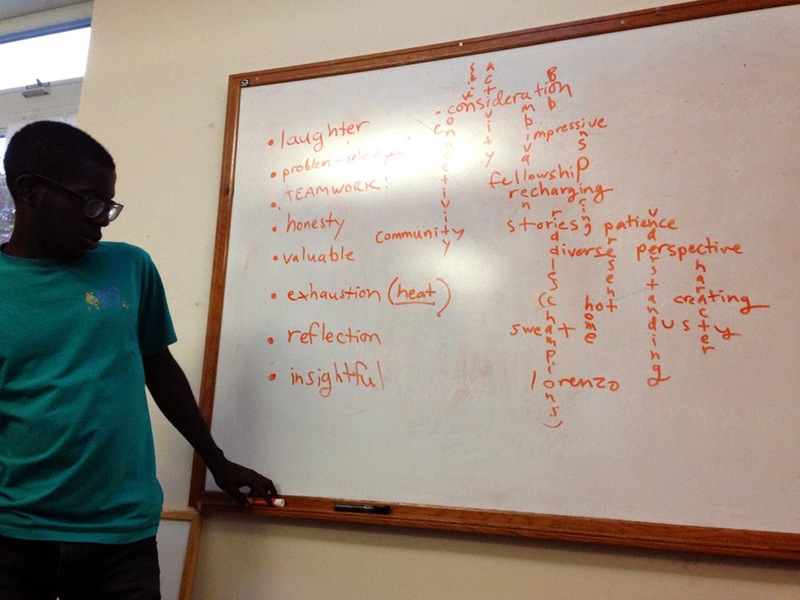 Neighborhood Housing Services of New Haven was one of six organizations to host a group of students. From 10:00am-2:00pm, this past Saturday, September 6, a group of 18 Yale students joined CB&O staff and John Cavaliere at his business in Westville. Lyric Hall, a duo-business with its theater and antique restoration shop, is a historic gem in the community. John has devoted many years, along with a lot of strength and determination, to renovate this building into a beautiful space. To help keep it that way, John has been contributing a heavy amount of manual labor to build up and re-grade the ground surrounding the building so that it can be better resilient to heavy rainwater. Having 36 extra hands available this past Saturday was a huge help in building a rubble, gravel, and earth berm; leveling the surroundings; and preparing the basement floor for painting. John is looking forward to worrying less about water entering the basement. With a fresh coat of paint, the water-insulated basement space will now be re-utilized as a workshop, which will free up prime space upstairs that will be better served as a show floor and gathering place. Great work, everyone! The decision to become a homeowner is never easy when considering the pros and cons of homeownership. After deciding thathomeownership is what you truly want, the next step is to assess whether you are ready to obtain a mortgage or not. Lenders are attracted to prospective borrowers that have certain characteristics. You will want to make sure you possess these characteristics when you go to a lender and request a residential mortgage loan. Unless you are in a financial position that will allow you to purchase a home using your own cash and without borrowing funds from a financial institution, the gateway to homeownership at this junction is attracting a lender. Let us explore the characteristics that lenders look for in a prospective borrower. To attract a lender, you will want to prove that you manage your debt obligations well, have the ability to save funds, and are able to financially sustain additional payments to your current monthly expenses. The ability to manage your monthly debt well is extremely important to a lender. Remember, the lender is trying to decide the level of risk in lending money to you so that you can purchase a home. Indicating on a credit report that you have paid your bills on time, have credit card balances that are at or below 30% of their respective credit limits, have no past due accounts or active collection accounts, and have no derogatory credit items being reported publically such as tax liens, previous foreclosures or open judgments, will mark you as a prospective borrower. Your job as a prospective mortgage borrower is to make lenders feel that you are trustworthy, responsible, and capable of making timely loan payments. The best way to start doing this is to make sure that you pay your bills on time, manage current debt well, and do not take on more debt than you can afford. Excellent credit history and a sustainable spending plan will drastically enhance your attractiveness to a lender because at that point you will be classified as…Mortgage Ready!!! Give us a call to see how far away you are from being mortgage ready… You might be closer than you think. 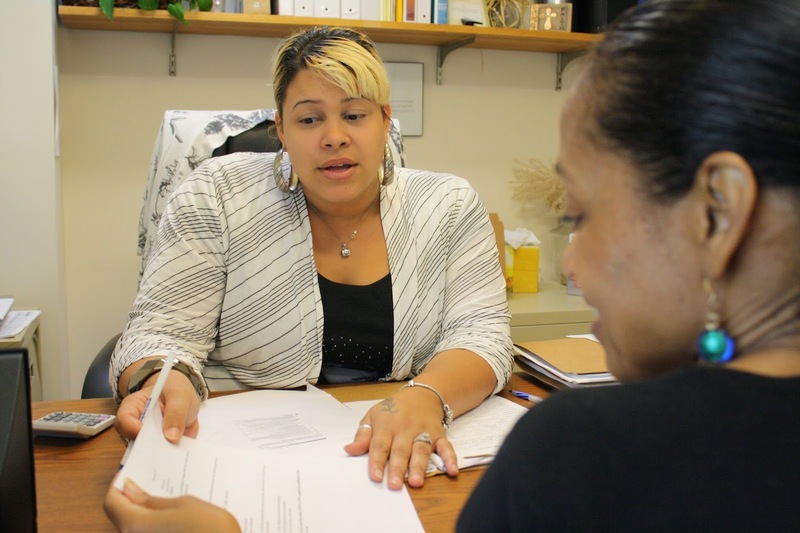 The Community Building & Organizing team was very fortunate to partner with a Yale FOCUS group for the week of Monday August 18th – Thursday August 22nd. The Yale FOCUS program immerses sophomore and transfer students in a week of service to the local New Haven community, and our group of eight volunteers, led by junior architecture student Lauren Blonde, was dedicated to this cause. For four days, the students joined NHS in helping an elderly couple, Joe and Sue, refurbish their home in West Haven. Projects included painting the front porch, back deck, garage, and outdoor fencing, as well as staining wooden fences and floorboards. 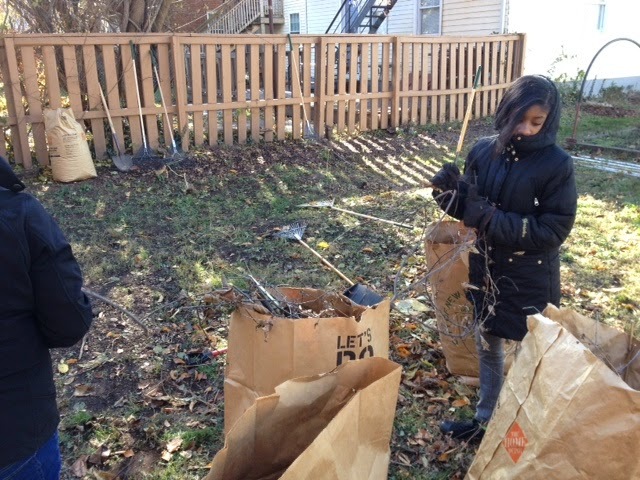 While Kelsey worked hard with most of the Yale students in the back of the home, Chandel and Beonca had the pleasure to work dutifully in the front of the house. Their projects included repainting an old white fence that framed the home, as well as repainting the sun porch located in the front of the house. Refurbishing the front of the house was top priority for this elderly couple because they enjoyed spending most of their time on the front porch. With the help of Pandora’s Fergie station and the delightful conversation between the Yale students, Irene and David, we were able to work together effectively to finish our jobs. Although not all of the volunteers had experience in painting, with the support and guidance of one another and under the watchful eye of retired engineer Joe, we successfully finished all of our painting and even revived an old mailbox with paint for good measure. The VISTA members and Yale Focus group hard work did not go unnoticed as Sue continued to bring us refreshments and snacks to keep our energy up while working in the hot August sun. During the middle of our work week Sue provided everyone with a “feast” of various Lebanese cuisines that left all of us full and ready for a nap. This community service project created an opportunity for everyone to learn new and exciting things. We were all delighted to work with such an inspiring and hardworking group, and hope to see some of the volunteers return for future NHS projects! Your current financial situation can determine whether you are financially capable of sustaining a home or not. In addition, your current financial status can give you an idea as to whether you should buy now, wait for a specified period of time, or continue renting. 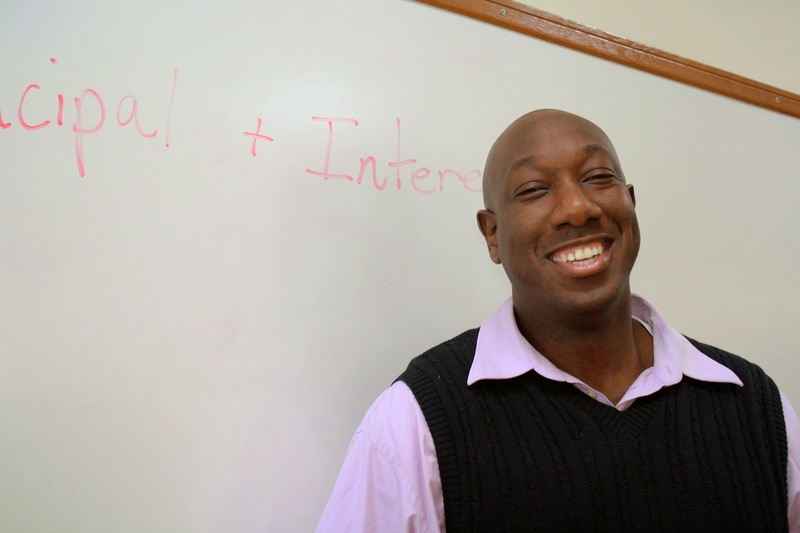 Our trained housing specialists can help you determine your current situation and develop a plan to reach your goals. There are numerous instances where mortgage payments are less than the local rents. However, as a homeowner, you also have to consider the expense of taxes, insurances, home maintenance, and other miscellaneous expenses that arise from owning a home. As a renter, you are responsible for monthly rent and renters’ insurance and do not typically have to worry about home maintenance issues. As a homeowner, you serve as the lead property manager of your home and have responsibility of making sure all mechanisms, both inside and out, are functioning properly. This requires times, effort, and in some instances, money. You can always minimize your frustration in these areas as a homeowner by preparing financially. However, those in a position financial position that does not allow room to prepare for future and current home maintenance issues should always think twice before plunging into homeownership. You will want to make sure that you have the financial capacity to sustain a mortgage payment, home maintenance costs, and other monthly living expenses before deciding on homeownership. The direction in which your career can take you is full of surprises. Should your career plans consist of future relocation within the next 1 to 3 years, you may want to hold off on homeownership – unless you plan on being a real estate investor who will rent out the property. Be realistic with where you want to be in terms of location, career, and family. As a renter, you can always fall back on the landlord in most instances to cover maintenance, landscaping, and all other items pertaining to the upkeep of the property. For individuals who enjoy like yard work and fixing “things,” though, homeownership is invigorating! Homeownership has always been a great way to provide stability for a family and possibly serve as a wealth-building mechanism depending on how you utilize the tax incentives and market value increases. Before diving into homeownership, allow us to help you assess your current situation and provide feedback as to what your options are. 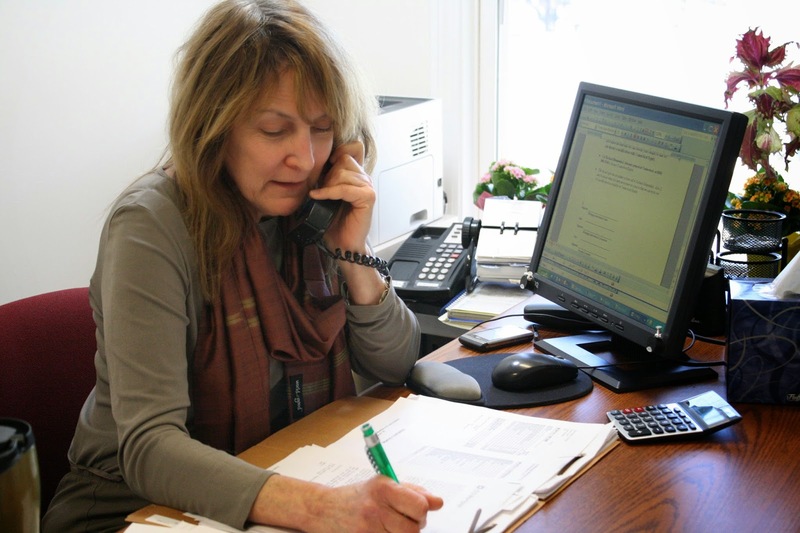 To learn what your options are, contact our HomeOwnership Center at (203) 562-0598 ext. 26, or visit our office at 333 Sherman Avenue in New Haven! NHS has joined the efforts of several organizations as they create "learning corridors" along sections of the Farmington Canal Trail. One of the projects looped in to these learning corridors is the Community Wall on Shelton Avenue (you can read background information about the Wall here). Kimberly and Kim, our two CB&O VISTAs for the 2013-2014 year, reconnect! Kimberly is now serving as a VISTA Leader at Columbus House, and Kim is now on staff in our Design & Construction Department. 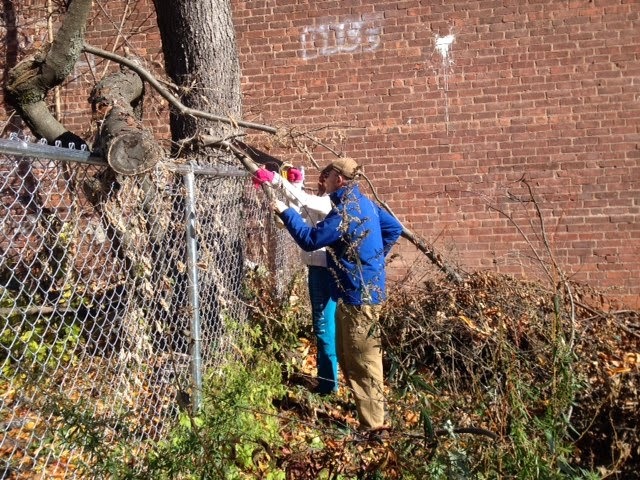 On Thursdays, NHS staff and other volunteers join forces to do some planting, landscaping, watering, and trash collection along the Farmington Canal Trail. We also get to see the progress of the Community Wall, which invites residents to brainstorm uses for community green spaces and empty lots. Everyone is welcome! Feel free to join us on Thursdays from 5:30 - 7:00. Today we received word that we have been approved as a 2014 NeighborWorks America Green Organization! Even though NHS has been committed to sustainability for years (as indicated by our Energy Star-certified houses and our LEED Platinum-certified Home Improvement and Energy Conservation Lab), the Green Designation process showed us many new ways in which we could improve our operations and policies to be as environmentally friendly as possible. In the past year, NHS has made a number of important changes in pursuit of our Green Designation. The Healthy City/Healthy Climate Challenge debuted at ArtSpace, coinciding with an art exhibit focused on the effects of climate change. Some of NHS' staff at the Healthy City/Healthy Climate Challenge launch event. NHS now composts! We learned the benefits of composting during our inaugural Green Week event. 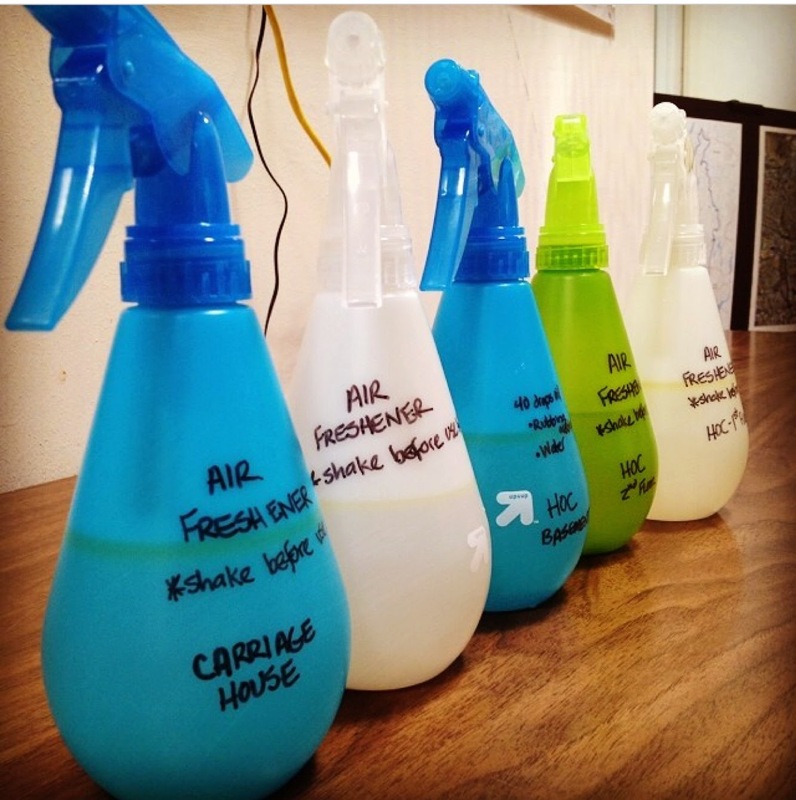 Really local... We now make our own air freshener! Can't wait to install these bad boys! New Haven Head of Transportation, Doug Hausladen, addresses the organizations that participated in the goNewHavengo Alternative Transportation Challenge. We implemented a series of train-the-trainer workshops to teach people about rain gardens and their role in regulating storm water runoff. And we did it all with the help of our two passionate and motivated Green VISTA Members, James and Allison. We are so excited to have achieved our Green Designation! Thank you to everyone who supported us along the way!